1. Excuse yourself from using any kind of shampoo at least for the first one week after bleaching. Well, it is tough not to cleanse your hair for as long as 7 days, but you have no option. 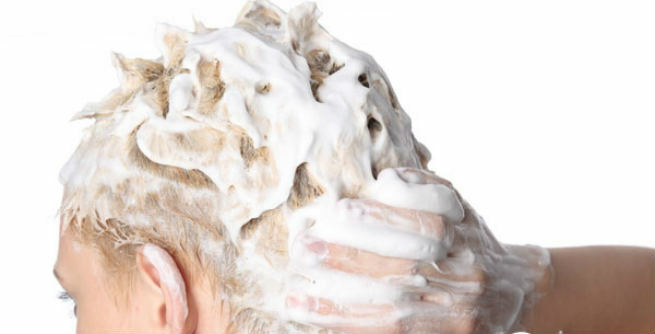 When you bleach your hair with peroxide, your hair gets stripped off natural oils. If you use sodium lauryl sulfate (one of the most common ingredients of regular shampoos) on this raw hair, you will end up building plaque. 2. You need to use only a good conditioner during this period of 7 days. In case, you have an oily scalp that must be kept clean all the time, opt for a cleansing conditioner rather than a regular one. 3. Bleached damaged hair needs a super dose of deep conditioning in order to restore its natural moisture. Hence, it is important to find a deep moisturizing conditioner to treat your thirsty hair efficiently, at least for the first 30 days. If possible, go for a leave-in conditioner treatment that is enriched with moisture and protein. Using it every day will make your hair strong, soft and shiny. 4. Massage your scalp and hair with extra virgin olive oil and let the shafts get saturated with it completely. Leaving the oil for hours will repair the brittle hair to the core and turn it softer, smoother and more manageable in a natural way. 5. 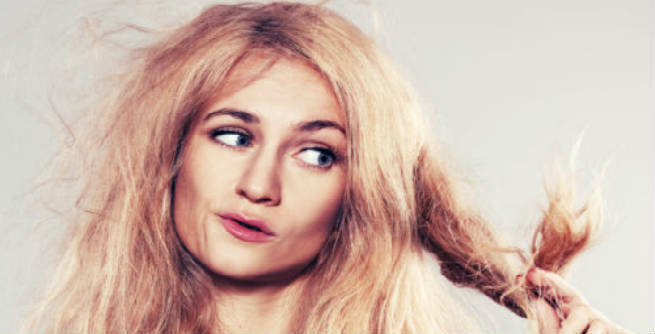 Using hair curler or flat iron can cause even more damages to bleached straw-like hair. No matter how much heat protection you use, it will easily break off your hair and increase hair fall. So, strictly stay away from all sorts of heat treatments. 6. It is important that you blow dry your bleached damaged hair partially. After shampooing as well as conditioning the locks, let them dry naturally for the whole night. In the morning, quickly blow dry or blow out while using a boar bristle brush. This method will prevent much application of heat on your hair and spread the natural oils all through the scalp evenly. 7. Go for homemade protein hair masks to restore the natural health of your locks. There are lots of simple kitchen ingredients like egg, yogurt, almond oil, mayonnaise, avocado, coconut, olive oil, etc., which are known to be packed with protein. Prepare rich, creamy mask with any of them and give your hair a significant protein boost. 8. Take omega-3 fish oil tablets to provide the nourishment of healthy fat to your hair. Include this supplement in your daily diet for better results. 9. If your hair has become totally spoiled after bleaching, just cut off its damaged ends as much as possible. Otherwise, salvaging the rest of your hair will become practically impossible. 10. Finally, stop experimenting with synthetic hair care as well as styling products. You have already done severe harm to your locks. So, just give it a break now!